AdLift, a global digital marketing agency appoints Manan Shah as Head – Client Services at its Mumbai office. 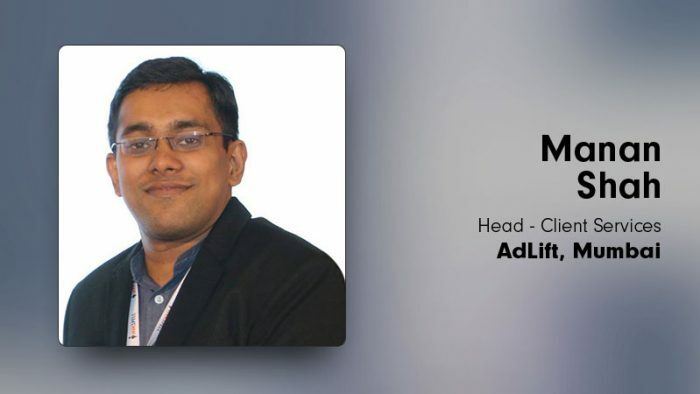 Manan will manage AdLift’s Mumbai accounts and will directly report to Prashant Puri, Co-Founder and CEO. Manan’s key responsibilities will be handling business development and operations for AdLift in Mumbai. He comes with over 7 years of extensive digital marketing experience across multiple verticals including insurance, ecommerce, banking, technology and travel.